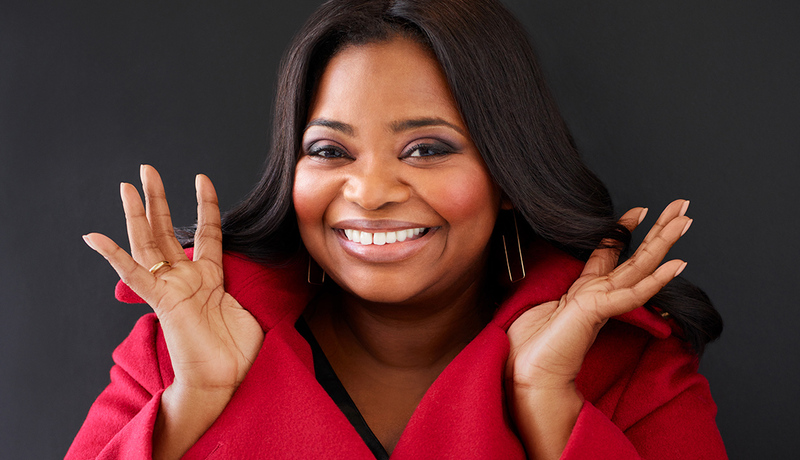 Washington D.C. (March 18, 2019) – Oscar winner Octavia Spencer will receive this year’s “CinemaCon Spotlight Award.” Mitch Neuhauser, Managing Director of CinemaCon, announced the award today. CinemaCon, the official convention of NATO, will be held April 1-4, 2019 at Caesars Palace Las Vegas Hotel and Casino. Spencer will be presented with this special honor at the “CinemaCon Big Screen Achievement Awards” ceremony taking place on the evening of Thursday, April 4, at The Colosseum at Caesars Palace, hosted by the Coca-Cola Company, the official presenting sponsor of CinemaCon. In addition to “Ma,” Spencer will star in several upcoming film projects including, “The Voyage of Doctor Dolittle” with Robert Downey, Jr., Oscar winners Rami Malek and Emma Thompson, and Antonio Banderas and Selena Gomez; the animated “Onward,” with Chris Pratt, Tom Holland and Julia Louis-Dreyfus; and Spencer will soon begin production on “The Witches,” Robert Zemeckis’ adaptation of the Roald Dahl classic, which also stars Oscar winner Anne Hathaway. Spencer recently starred in Guillermo del Toro’s “The Shape of Water,” for which she received Golden Globe, BAFTA, and Academy Award nominations. Her previous film credits include “Instant Family”; “Hidden Figures,” for which she received Academy Awar , SAG Awards, Golden Globe and NAACP Image Award nominations; “Gifted”; the “Divergent” franchise; “Zootopia”; “The Help,” for which she won the Academy Award, BAFTA Award, Golden Globe Award, SAG Award and Broadcast Film Critic’s Choice Award; “Fruitvale Station,” and “Get on Up,” just to name a few. She recently served as an executive producer on “Green Book,” which won the Oscar for Best Picture, and she is set to produce the upcoming film “Coffee Will Make You Black,” which stars Gabrielle Union. CinemaCon is delighted to have both the International Cinema Technology Association (ICTA) and National Association of Concessionaires (NAC) as its tradeshow partners. CinemaCon is also delighted to have as its official presenting sponsor, The Coca-Cola Company, one of the industry’s greatest and most highly regarded and respected partners in the world of the movies. The National Association of Theatre Owners (NATO) is the largest exhibition trade organization in the world, representing more than 33,393 movie screens in all 50 states and additional cinemas in 94 countries worldwide. NATO’s membership includes the largest cinema chains in the world and hundreds of independent theater owners.